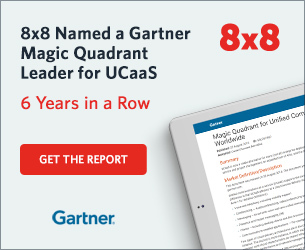 Top Challenges Retailers are Facing and How to Solve Them | 8x8, Inc. This post is part of our series focused on the retail industry highlighting emerging trends and challenges affecting consumer and retailer behavior. We have compiled the below three key areas where retailers are struggling. Instead of just pointing out where it hurts, here are some ideas about how to make progress toward a longer-term transformation while you improve your customer experience in the short term. 1. How can I lower operational costs while improving the quality of communications within and between our stores? Whether to improve profitability or use resources to strive for the vision of the ideal customer experience, retailers are laser-focused on cutting unnecessary costs and inefficient processes while enhancing both the associate and customer experience. This first step is essential since it allows organizations to reallocate the savings and personnel to innovation and customer experience projects. Can cloud technology reduce costs? Most retailers with multiple locations are using multiple on-premise phone systems. If you’re one of those retailers, a great place to start is by replacing those multiple, on-premise PBX systems (phone systems) with a single, modern, cloud-based communications platform. And while you’re at it, a unified cloud-based solution will enable you to stop paying for those expensive leased lines for remote locations. Is maintenance taking up all your resources? Along with these dozens, hundreds, or even thousands of distributed systems come either a small army of internal IT or telephony folks and/or a group of mercenaries (local telco vendors) who spend most of their time maintaining phone systems that add little to no value to your business. Consolidating on the cloud means you can put your IT folks to work on higher value — and probably more interesting — projects, while also stop paying exorbitant fees for maintenance. Do you know how your store is performing? In addition to the higher cost of multiple systems, the lack of connectivity means you cannot glean much insight from your network of stores. Getting a better understanding of your call volume and tying that into other store metrics, like the number of associates, revenue, etc., can help you forecast sales growth, create more accurate workforce management, and even reroute incoming calls from busy stores to idle stores. 2. What actions can we take to increase associate productivity? Staffing is one of the industry’s major expenses and helping your associates to focus on higher-value tasks, like interacting directly with customers and making sales, is critical. Automating mundane or tedious work is one way to give them more time to be the attentive, knowledgeable advisors that consumers are looking for when they visit your stores. It also allows you to look for other ways to remove unnecessary friction in the customer experience. Are your associates focused on the right things? 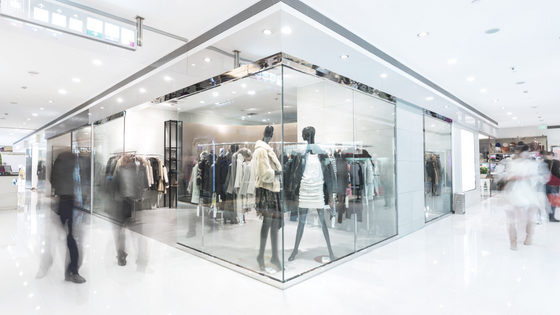 Often, the message customers hear when calling a retail store appears to be unaffected by the seasonality that impacts the rest of the business. If this is true for your business, with an easily-configurable Interactive Voice Response system, (IVR) you can automate handling those calls with frequently-asked information — freeing up associates to focus on live customers — as well as use it as a promotion vehicle for that temporarily-captive audience. What capabilities do you have to improve performance? Having the ability to review calls and provide real-time coaching is valuable beyond just the contact center. It can also help train store associates as well. The key is having mechanisms in place to search, analyze, and act on those conversations to improve efficiency and the overall customer experience. Are you understaffing or overstaffing? Workforce management solutions have changed the way contact centers ensure adequate coverage during peak periods. However, they are just as applicable to the store environment, given you supply the right data. It can be as complex as analyzing transaction history to pinpoint peak periods, or as simple as using a door counter to measure live foot traffic. Using the two together will even show how well your associates are converting walk-in customers. Do associates have the information they need? Most retailers have their contact centers and stores on different systems, making it difficult for store associates to quickly engage the contact centers. By using a common communications platform, associates can instantly engage experts in the contact centers for active customers and off-load special requests from callers to specialist during active times. 3. How can we increase the use of data-driven insights to be more responsive? Because of the transparency created by digital transformation, customer experience is now the essential differentiator between you and your competitors. Often, multiple systems and data sources prevent retailers from getting an accurate view of the customer journey. Unfortunately, trial-and-error efforts to integrate systems aren’t sustainable, nor is maintaining the status quo. Retailers need instant visibility across their businesses in terms of analytical insights, to make sure they are capturing data for all the valuable moments of customer engagement. The data must be accurate, comprehensive, and easily accessible to guarantee the insights are usable for improving business decisions and informing the customer experience strategy. How can you fill the gaps in your analytics? Yes, everyone is talking about it, but it comes down to getting an accurate, comprehensive, timely set of data to analyze. 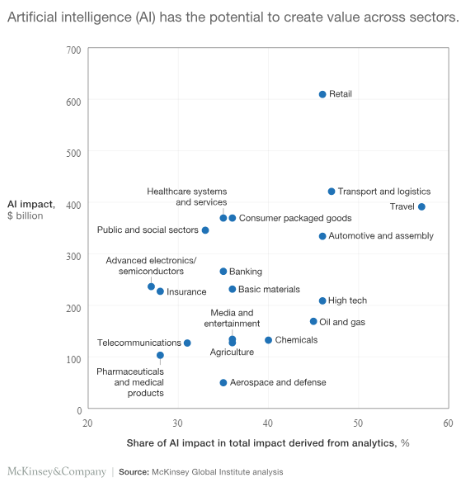 Replacing outdated, largely disconnected technologies with a single, modern system of engagement means you create a common system of intelligence to provide accurate, timely, actionable insights that identify further opportunities for operational efficiency. How are you tracking customer information and interactions? If your organization has an existing CRM application, this can act as the single system of record, but you need to make sure all aspects of the customer lifecycle are recorded, from purchase history to preferences to communication and interaction history. How are you embedding best practices across your sales and service teams? Feedback works best when delivered right away. Companies using speech analytics can move quickly to 1) listen to and review sales and service agent performance, 2) annotate calls, and 3) quickly provide constructive coaching back to the reps to accelerate sharing of best practices. What is the true value of tracking the customer journey? We often hear retailers complain about not being able to track the contact center’s impact on store sales. It’s a symptom of not having the ability to track the customer journey. Using a modern, cloud-based communication system on a single platform for store and contact center communications, retailers gain the ability to easily track how customer calls are flowing between stores and contact centers. This capability is essential for understanding the customer journey and the impact the contact center is having on store sales. How can communications technology help retailers create an omnichannel experience? 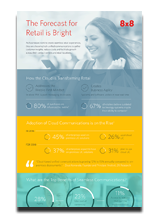 Retailers are heeding the call to move their communications to the cloud: 26% used cloud-based unified communications in 2016, but that figure is projected to rise to 31% in 2018. View the infographic from Retail Touchpoints to learn more.